The Geneva is from the Naot Scandinavian Collection, which runs as a Medium width. A stylish slide with a diagonal cross band connecting the back and front straps for added support. Uniquely blended form and function in superbly made footwear. 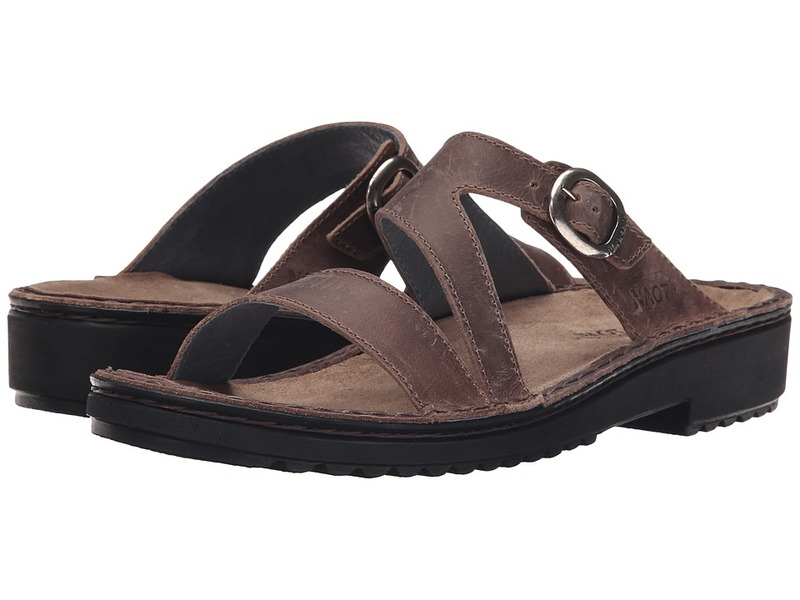 Removable footbed firmly set on a flexible sole. Designed for supreme comfort. Hand sewn construction. Measurements: Heel Height: 1 1 4 in Weight: 8 oz Platform Height: 1 2 in Product measurements were taken using size 39 (US Women~s 8), width M. Please note that measurements may vary by size. Weight of footwear is based on single item, not the pair.